It is time for you to renew the floors in your home, and you also have a furry friend or two you want to make sure is comfortable where they live with you. Now is the time to research and decide what new flooring will benefit you, be the most cost-effective solution, and be the best flooring for dogs you can buy. We all want to honor our pets and make them comfortable in the homes we share with them. The best way to do this is to get furniture and flooring that will make them the most comfortable. Most of us who have had children can understand wanting to have floors that are easily kept clean, comfortable, and hold warmth to them. Our children, however, will soon grow out of the floor-crawling stage of their lives. Our dogs will always be closest to the ground and the most impacted by the quality of our floors. We all want our dogs to feel comfortable, welcomed, and at-home, right? In honor of our cuddly fur-balls, we would like to share with you nine of the best flooring for dogs we have found through careful researching! We found and answered a few of the most frequently asked questions from curious customers looking to better their homes for their dogs by purchasing the best flooring for dogs available on the market today. Our purpose for answering these questions for you is to provide you with insight on why it is important to get flooring that's easy to clean, cost-effective, and provides warmth and comfort for our dogs. When considering one's dogs versus their floor, one can decide to either adjust the floor to the dog, or the dog to the floor. Adjusting your dog to your flooring can be potentially painful or uncomfortable for your dog as the process involves keeping your pet's nails trimmed constantly. It is far easier and a more thoughtful solution to get new floors that will be comfortable and fulfilling for your furry friends. 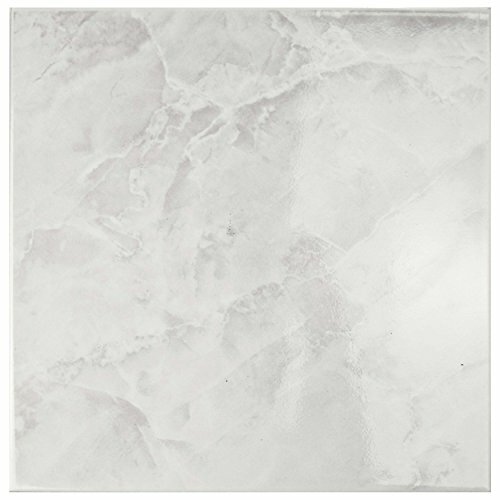 On our side of things, we should look for floorings with scratch resistance, sound absorption so our rooms do not echo and feel uncomfortable, and easy cleanability. For our animal buddies, we should keep in mind they will feel the most comfortable with good traction. This is especially important for our more mature animals who have trouble standing up or jumping onto furniture from the floor. 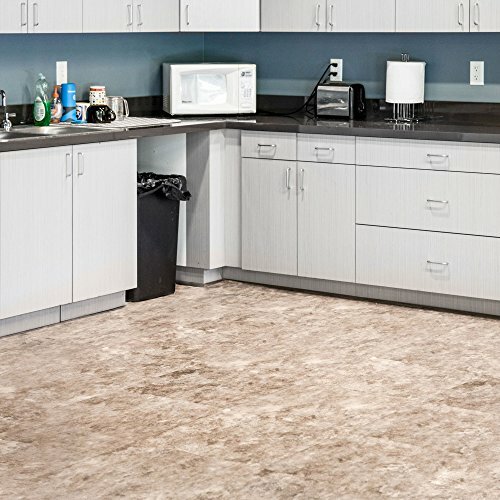 To find a flooring with substantial durability means finding a floor that has an excellent impact, moisture, and also resistance to scratches and dings. While concrete is the most ideal option based on these parameters, we need to remember concrete will be the best flooring for dogs. 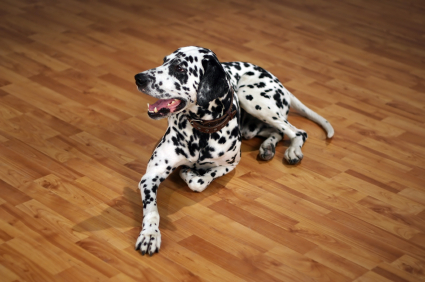 How Can I Keep My Pet-Friendly Flooring Clean? Obviously, with having a new pet-friendly floor comes a need to keep it looking nice. Since our furry friends are closest to the floor, a lot of the messes can be attributed to them. There are easy and preventative ways to keep our floors clean in a stress-free way. You should consider keeping a weekly routine schedule to regularly vacuum or sweep your floors to get rid of pet hair and dander. If you have one, mopping hard surface floors on a regular biweekly basis is also beneficial. The moment you happen upon accidents, clean them up immediately. Affordable homemade remedies or pet cleaning products are both great to use. Place a mat under the food and water bowls to prevent spills and messes from getting onto the floor. Some floors require refinishing every six months to a year. Refinishing protects the floors and adds durability to them. 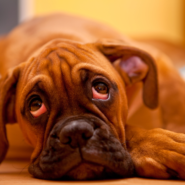 How Can I Minimize Pet Accidents? Accidents happen sometimes, and it's best if we prepare for them ahead of time so we know what to do when they happen. If you have brought a puppy home for the first time and you recently got new flooring to accommodate them, make sure you read up on house training and be diligent in teaching the puppy right from wrong. If you can spare the expense, hiring a training professional can be a surefire way to ensure there are no accidents. For our older friends that have accidents, it is important to make veterinarian visits more frequent to check on their health and make sure their cause for more frequent accidents is because of a medical issue. Another reason for accidents is stress. Changes in the animal's environment may stress our friends out but we can find lots of ways to help them through those stressors. On a few rare occasions, behavioral reasons are to blame. These are easy to spot as dogs will typically choose the same places to relieve themselves if it is for a behavioral reason. No matter what accident happens, make sure you clean the area thoroughly with an enzyme cleaner. This will remove the odor so the animal cannot detect the spot anymore. Rearranging furniture is also a viable option so they can no longer access the spot. Where Can I Purchase the Best Flooring for Dogs? Most flooring stores, such as Lumber Liquidators, Home Depot, and Lowes offer vast selections of floors at competitive prices. Most of these stores also label which of their floors are pet-friendly so you can choose between the many options available for your furry friends. Sites like Amazon and eBay offer an even wider range of selections from all brands available. These sites also make shopping and comparing easier because the items for sale often have testimonies from the manufacture and verified purchase reviews from satisfied customers one can read before deciding. We know how important it is for you to find the best flooring for dogs that will make your pets feel comfortable at home and will also give you plenty of durability at a cost-effective rate. It gives us great pleasure and excitement to present to you our list of the nine best flooring for dogs our team found available on the market today! The competitive vinyl market means you can get great deals on your flooring. It is hard to gouge and is robust. About $$ for (6) 20 in. by 20 in. tiles. How Will My Dog Like It? It is cool in the summer and warm in the winter and has excellent grip for your pups! 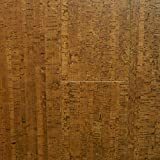 Laminate floorings offer various abrasion classes you will need to know of before purchasing. Ratings AC 3 and above are ideal for your dogs. About $ for 7 12mm planks. They may not love the slickness but they will not scratch it. This organic choice is extra durable because of the infusion of resins during production. 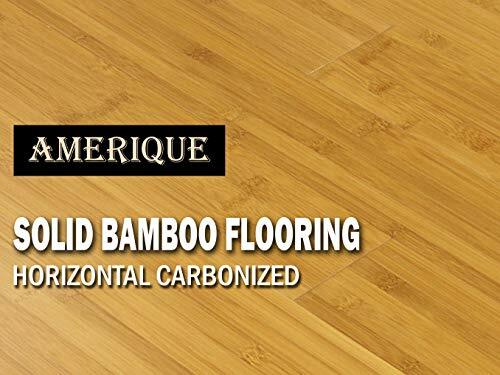 Your furry friend will like the warmth of the bamboo during cold months and will find it easy to curl up comfortably. This is a cost-effective choice that offers easy cleanability and a solid foundation that is great for both you and your pets. Some pets may have trouble gaining traction. This provides extra comfort for your dogs but proves difficult to clean. About $$$ for 180 20 in. by 20 in. tiles. This is the comfiest option for your fur babies! They will absolutely love you for purchasing this because it offers cuddly warmth and maximum traction. Solid wood floors are gouge-mark central for your dog's claws. 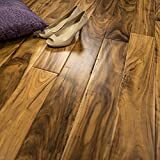 If you are considering this floor, keep in mind it will be expensive especially if you want to go long periods of time without re-sanding it. About $$ for two 9 in. pieces of 3 in by 3/4 in. planks. The warmth of solid hardwood is comfortable for a dog, but it is also easy to gouge marks in it with paws. 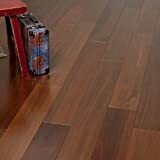 Engineered wood is the best-favored floor in the market. If you are someone who enjoys the look of exotic wood such as mahogany, this is an ideal choice to get what you want for a reasonable cost. About $$ for two 9 in. pieces of 5 in. by 1/2 in. flooring. Your dog will have an easy time finding a comfortable place to lie down because it has natural warmth to it similar to hardwood flooring. 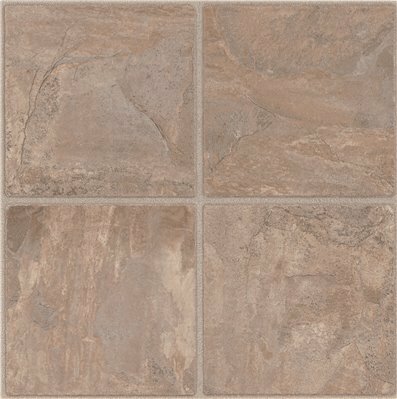 Tile and stone floors offer a robust flooring that is water resistant, stain resistant, and easy to clean. 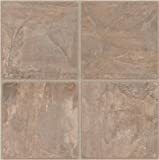 Tile and stone floors are forgiving even if you don't trim your pet's nails. About $ for a 45 sq. ft. case with 12 in. by 12 in. tiles. Your pet will enjoy the robust nature of tile and stone floors, however it may be difficult for them to find a comfortable place to lie down as these floors are hard and cold. 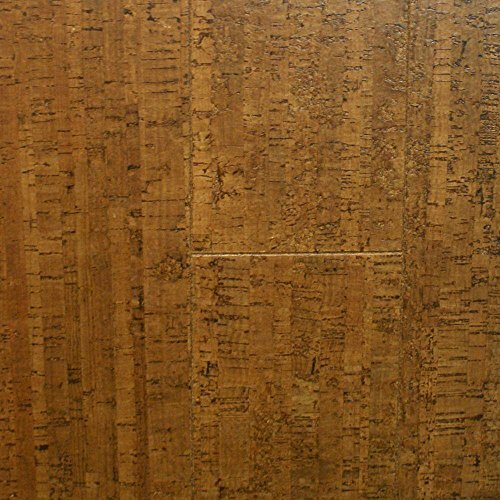 Cork is an optimal choice for pet owners as it resembles hardwood flooring and is microbial, meaning it is less likely to grow bacteria and other harmful allergens when your pet has an accident on it. 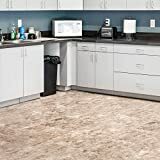 If you clean up accidents as soon as they happen they will be easier to remove, however cork flooring is forgiving enough that stains can still be removed safely even if they are old. About $ for 10.92 sq. ft. of planks 13/31 in. thick by 5-1/2 in. width by 36. in. length. Your dog will find comfort in the natural warmth provided by the cork, they will not be bothered by noisy nails on the floor, and the forgiving nature and resistance is ideal for even the messiest of mutts. It is important to all of us that our furry friends are comfortable at home with us. 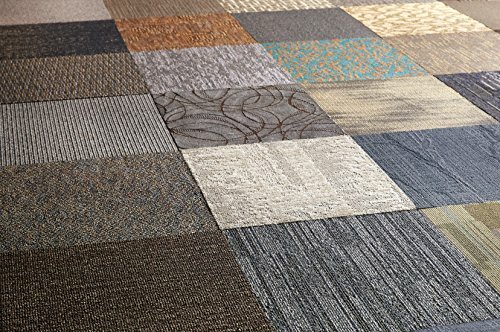 There are many options out there for affordable, robust floorings that your dog will love! We hope we have put a few ideas in your head and that you check out a few of those Amazon links for yourself! 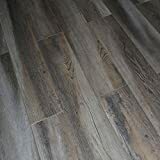 Our official recommendation is vinyl flooring as it is cost-effective, tough, resistant to water and messes, and offers the biggest variety of high-quality options on the market! Besides our recommendation, any of the choices on this list of the nine best flooring for dogs are great options for making your pet right feel at-home!